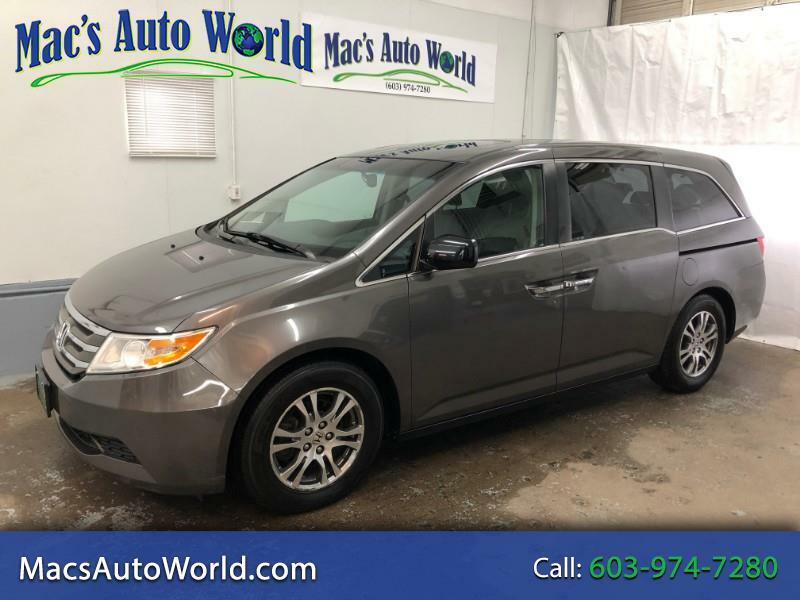 2011 Honda Odyssey EX-L van with DVD and only 99k miles! This truck is great for the whole family, with plenty of room for everyone and easily fold down rear seats for extra cargo room! This van has been well taken car of for its entire life, with no scratches or dents anywhere and a clean rip and stain free interior! The leather shows no wear or damage and everything works like new! We have fully serviced the van and the undercarriage shows no sings of rust at all! The Odyssey comes complete with our Mac's Auto World warranty as well as approval for any of our extended plans up to 5 years! To apply for credit union financing, or to see other great deals like this one, visit us at www.macsautoworld.com or stop by today!